Cadillac chose to unveil its newest SUV not at the Detroit Auto Show, but during a private event just before the show’s opening. A few hundred guests were on hand to assist the presentation of the XT6, of which images were released earlier during that day. Obviously, the XT6 is part of Cadillac’s strategy aiming to launch a new product every six months from now to 2021. Among them, a new Cadillac CT5 sport sedan that will rival the BMW 3 Series and Mercedes-Benz C-Class, as well as a new generation of the Cadillac Escalade. Meanwhile, Cadillac has presented a seven-passenger SUV that will slot in between the XT5 and the Escalade. A vehicle that will go head to head with the Audi Q7, the Acura MDX and the Volvo XC90. 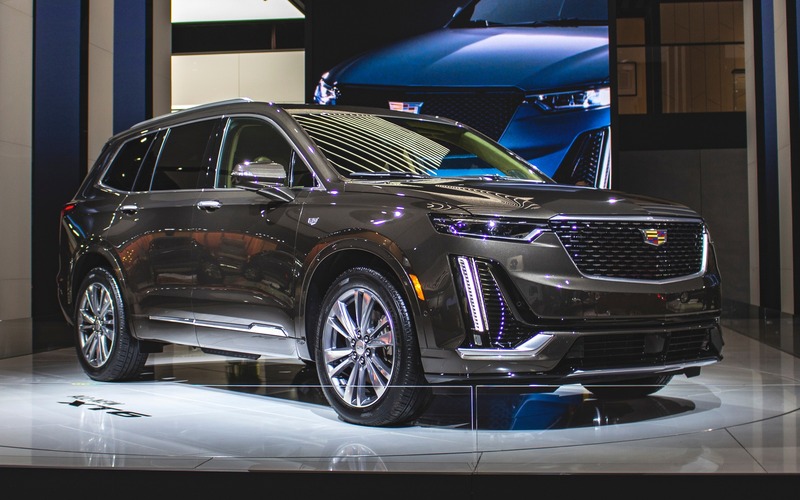 Using the same architecture as the Chevrolet Traverse, it also borrows its powertrain that consists of a direct-injected, 3.6-litre V6 developing 310 horsepower, matched to a nine-speed automatic transmission. Two variants of the XT6 will be offered, and will be easily distinguishable. The first one is a more classic version with its traditional presentation, where galvanized metal accenting is ever-present. The Sport version will stand out with its blacked-out grille and window frames as well as its transparent taillights. Of course, the XT6 will get some exclusivities compared to its mechanical equivalents at Chevrolet and Buick, such as a night vision system, a high-definition rear camera mirror and a 14-speaker Bose stereo. At the event, Cadillac also showed a video that previewed the brand’s future electric vehicle, which is promised for 2021. It’s a midsized utility vehicle that will boast, according to the company, exceptional technology, and whose platform will be used for many other products, whether it’s for the Cadillac brand or other GM divisions. No information regarding the name, driving range, powertrain or even features, but Cadillac insisted that it will be equipped with autonomous driving technology. Last but not least, Cadillac announced pricing for the upcoming CT6-V and its 550-horsepower, twin-turbo V8 engine. It’s possible to pre-order this big sedan which will retail from USD$88,790. Of course, that doesn’t include the likely numerous available options.